Our world moves so fast today that it is hard to get people to read long articles and sometimes even bullet point slides with few words. Infographics help overcome this barrier to communication. Infographics are simply quick to read and easy to understand data visualizations. In the franchise industry – comprised of 75 different business sectors and over 3,000 brands in the U.S. – the International Franchise Association (IFA) does an excellent job of keeping its members up to date on franchising today through two infographics. 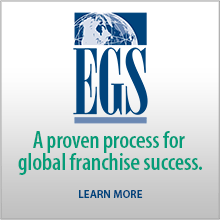 The first can be downloaded at the following link and quickly explains the scope of franchising in the U.S. today: almost 800,000 franchised business locations in the U.S. directly employing over 8.5 million people and producing 839 billion in economic output a year. 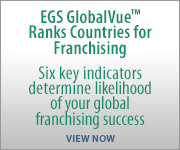 This infographic also shows the different types of franchises. Food and hospitality accounts for 65% of all franchises in the USA. There is an immense amount of data on these two one-page infographics that are easy to scan quickly instead of reading a long and detailed report, which most humans are now hesitant to do!